We learnt that our Aunty Ivy passed away in Brisbane last Friday 10 January. We hadn't seen much of Aunty Ivy (my Dad's younger sister) in the last twenty five years or so but she was a big part of my childhood and young adult life and we are sad that she has now gone. 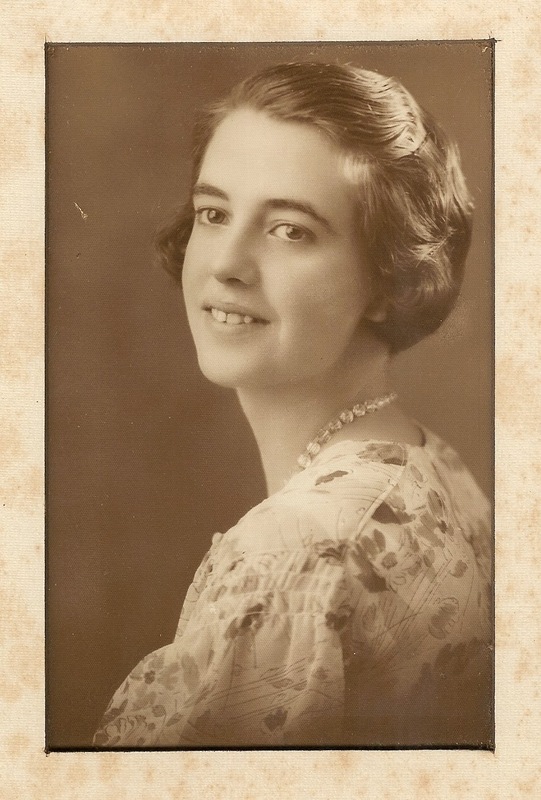 She was our last remaining link to our Dad’s family: his father Stanley (born in 1873 in Salford, Lancashire) his mother Lizzie (nee Shepherd) (born in 1891 in Jericho, Queensland), and Dad's siblings, Roy and Ivy. 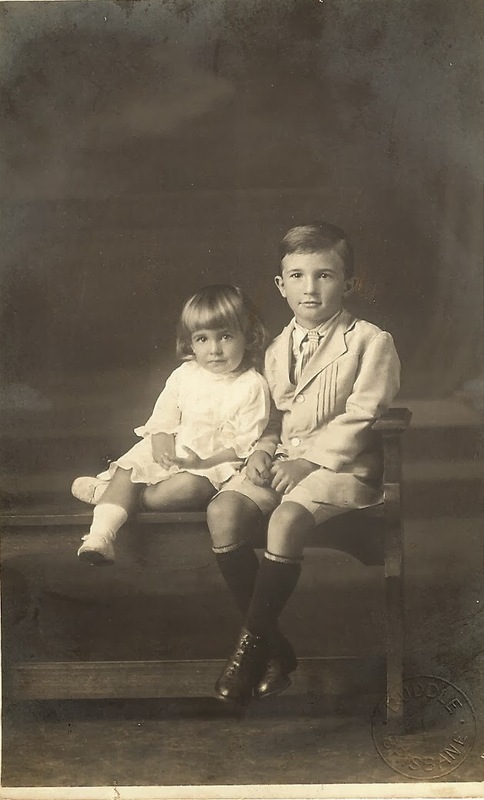 The pic below is of my Dad (Stanley, born in Longreach in 1915) and his younger sister (our Aunty) Ivy. This would have been in the early twenties I think. 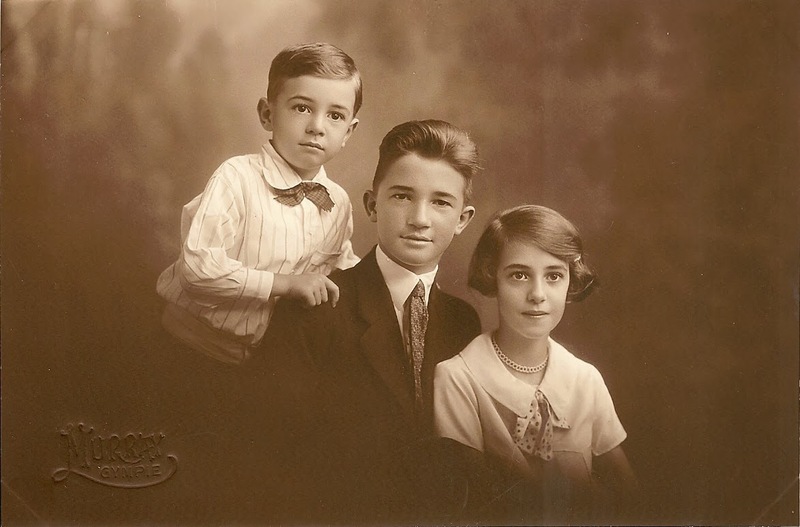 By the time the picture below was taken Uncle Roy was part of the family. My Dad is the handsome one in the middle. My Aunty Ivy started teaching at age 16. She may have been teaching, in a little country school Queensland by the time the pic below was taken. I always admired her gentle manner and love of learning and I'm sure she is one of the reasons why I've had such a positive attitude to teaching as a profession throughout my life. Aunty Ivy was a bridesmaid at Mum and dad's wartime wedding in 1941. 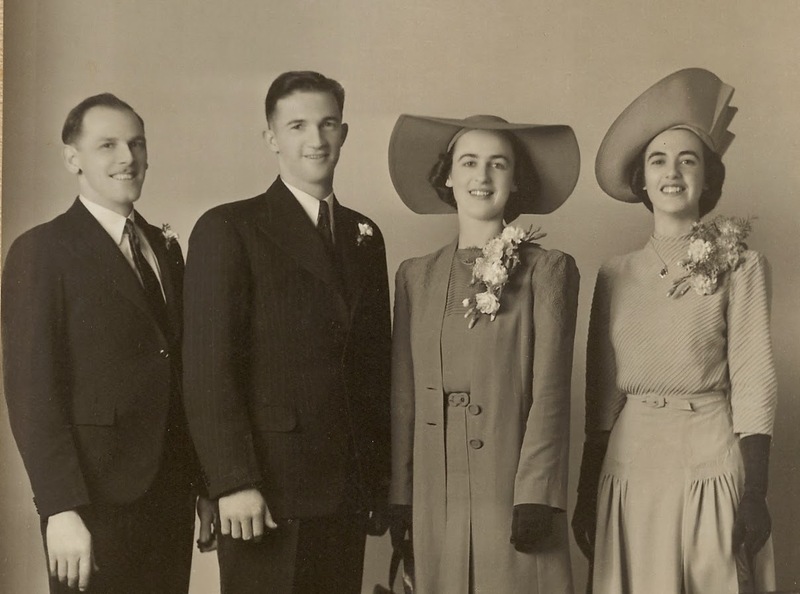 Couples were encouraged to wear their street clothes at weddings in those difficult times but that didn't stop Mum and Ivy going to town with those hats! Aunty Ivy was married herself four years later in 1945. She and Alex moved into a house in Brisbane just over the road from ours and proceeded to have three boys in roughly the same timeframe as Mum and Dad had us three girls. I saw her and my cousins Robert, Hugh, and David almost every day for the first sixteen years of my life. She always showed great interest in "us girls". She led a long and full, loving and hope-filled, dignified life. Her boys and her extended family will miss her greatly. Lovely blog Judy. And lovely to be see these old photos again. Auntie Ivy was indeed a big part of our childhood. A kind and gentle person. We were fortunate to know her.